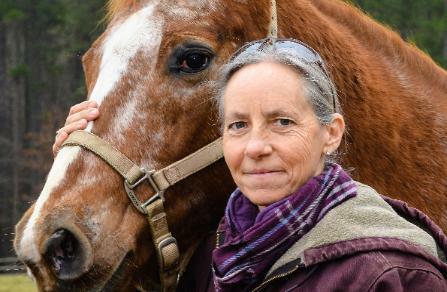 Brenda Bishop has spent many years researching equine immune mediated diseases. for veterinarians interested in a new thought process for dealing with Equine Shivers. She answers questions that have gone un-answered for too long. and a new generation grows up that is familiar with it". Syndrome (EFMS)” by Brenda Bishop, VMD. the many different serovars (there are over two hundred known to date) the serovar L.
by many scientists; leptopirosis is suspected in mares that abort for no apparent reason. both eyes or a fetus. Borrelia, have a predictable course of action once established in their respective hosts. conjunctiva) and mucosal linings (respiratory, reproductive and gastrointestinal tracts). They cluster around nerve endings, the smallest of blood vessels and lymphatics. blood vessels and lymphatics, and needless to say inflammatory pain. dogs; there is no approved vaccine for horses. the horse is out; they have a place but are not practical for long term use. intracellular calcium rises, cells die and different neurodegenerative diseases result. (24 hours) and last long after it has washed out of the body (weeks). headaches, one of many human diseases now viewed as ‘calcium channelopathies’. century research known as ‘autoimmune channelopathies’.